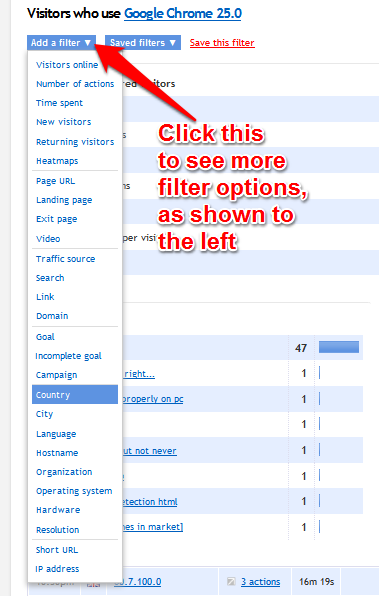 One of the best thing about Clicky is how easy it is to segment (filter) your visitors. You're not presented with an ugly form with thirty options. Instead, every report is a gateway to segmentation. 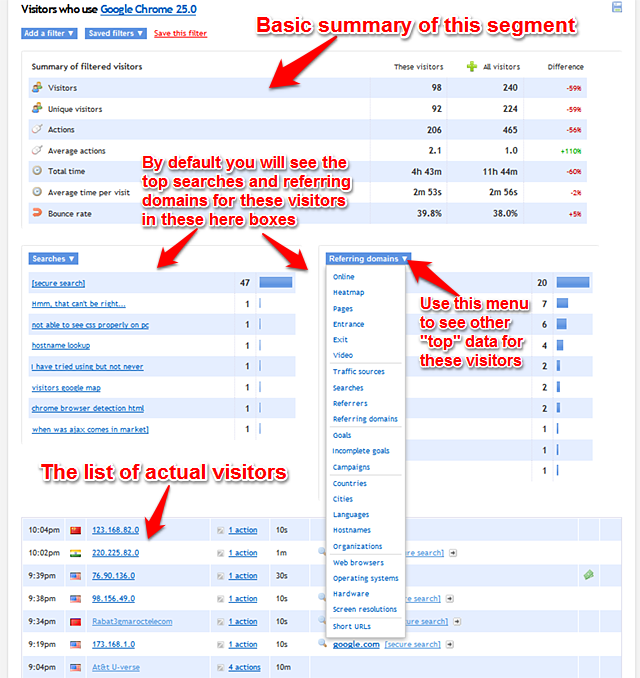 You can just browse your reports as you would otherwise, and when you want to see a specific group of visitors, just click an item in that report. Some of the data you get from segmentation is also presented up front in most reports as Segments. 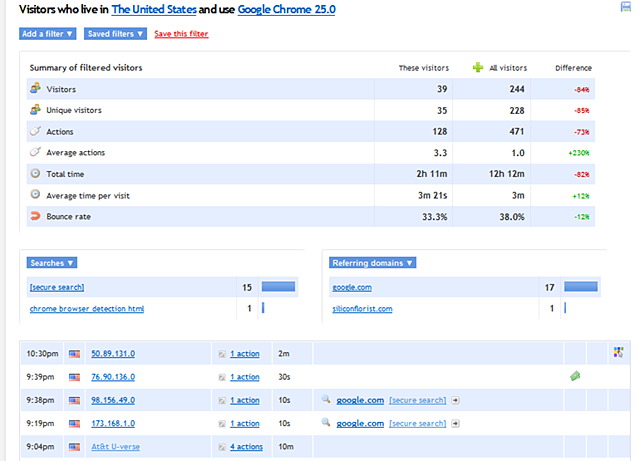 Note that the summary data at the top is sampled. If more than 1,500 visitors match you filter, then we'll grab a random 1,500 of them to analyze and then extrapolate those numbers. For example, if you were viewing the Platforms -> Web browsers report, any of the items that look like links are actually links. 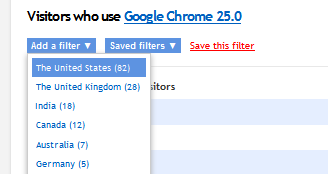 Let's say you clicked on the "Google Chrome 25.0" item in the platforms report above. You would then be presented with a screen like the following. There is a lot of data and further options available on this screen, as shown below. Everything on this page now represents visitors who match both of these filters. Nice!